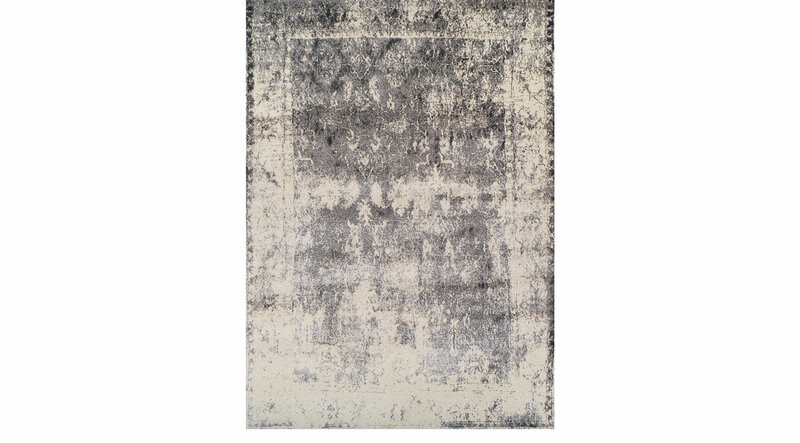 Emphasize the dramatic look with the neutral hues of the Adler Cove rug in any space. Featuring a transitional design in gray and ivory colors with a distressed look. Made of polypropylene and polyester. Machine woven. To clean, vacuum regularly. Spot clean with mild soap and water.